Reluctant to cut losses, the government is weighing on options before taking a step that could either provide a relief to the consumers or hamper its revenue prospects. 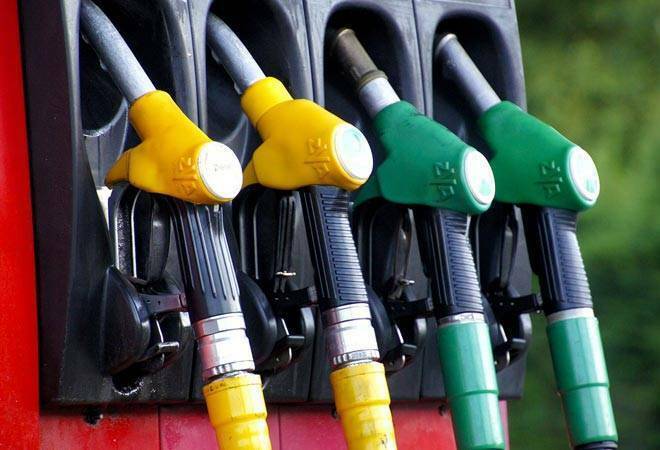 Petrol and diesel prices are touching new highs and several solutions are being presented in front of the government by economists and industry experts on ways to pull the plug. Reluctant to cut losses, the government is weighing on options before taking a step that could either provide a relief to the consumers or hamper its revenue prospects. In the midst of all this is an argument that the government can reduce petrol and diesel prices by Rs 26 and Rs 15, respectively, provided it includes the fuel under the GST. Many people have criticised the government for collecting huge revenues by levying over 100 per cent taxes on petrol and over 68 per cent on diesel, at a time when people across the country are crying for some relief measures. Before this, the former finance minister P Chidambaram had also said that it is possible to reduce petrol and diesel price up to Rs 25 per litre, and that the government will "cheat people" by cutting price by Re 1 or Rs 2 per litre. So do these arguments hold ground? Let's breakup the fuel cost scenario for petrol and diesel by considering the government includes transportation fuel under the highest tax slab of 28 per cent. The basic cost of fuel after it comes out of refinery is Rs 36.93. Add 28 per cent (14 per cent CGST and 14 per cent SGST) of GST in it and also the dealer commissioner of Rs 3.6, the price comes out to be around Rs 50.87. On diesel, the basic cost of fuel after it comes out of the refinery is Rs 39.78 per litre. Add 28 per cent GST, combining both CGST and SGST, to it plus Rs 2.5 per litre as dealer commission, the price comes out to be around Rs 53.3. As per the Indian Oil Corporation's revised fuel pricing for, let's say, Delhi, the current price of petrol is Rs 77.83 per litre while diesel is Rs 68.75 per litre. If the government includes transportation fuel under the GST, and applies the highest tax slab of 28 per cent, the petrol and diesel price would be reduced by Rs 26.9 and Rs 15.4, respectively. Four years ago in 2014, when the Narendra Modi government took power at the centre, international crude oil price hovered around $100 per barrel, though the current crude oil price on the Brent crude benchmark is around $80. Despite this, the current retail price for petrol and diesel is around Rs 4.36 and Rs 7 more than the year Modi government came to power. The subsequent increase in central as well as state levies has taken the fuel prices to a new level. The excise duty on petrol was hiked by Rs 11.77 per litre and that on diesel by 13.47 a litre ever since Prime Minister Narendra Modi-led BJP government came to power in 2014. So if not for raking in more revenue on transportation fuel, the government has no reason not to include petrol and diesel under the GST, which is why keeping fuel prices at an all-time high seems a conscious decision than a compulsion, suggest experts. Any attempt to replace the multi-layered tax levied on fuel with a uniform tax regime of GST would affect its revenue. Though external factors have affected fuel prices in the country, the taxes levied by the Centre and state governments have also contributed significantly to the overall retail fuel prices. Uber turns profitable at last, but should it consider an IPO at all? Airlines report multiple engine failures: Are Indian skies becoming unsafe?